It’s not easy to dress up when it’s cold outside. The option to layer up in pants and boots is sometimes more appealing than a cute dress and a pair of tights. I don’t always give in to this urge though. 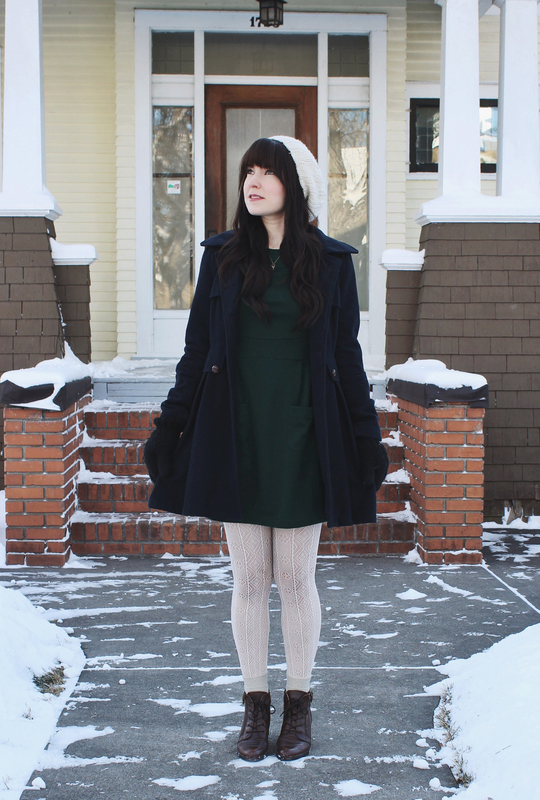 Sometimes you just have to wear the cute dress and brave the cold. This dress is a recent addition to my collection from an adorable boutique called Onze. It’s such a lovely fit and a pretty colour. 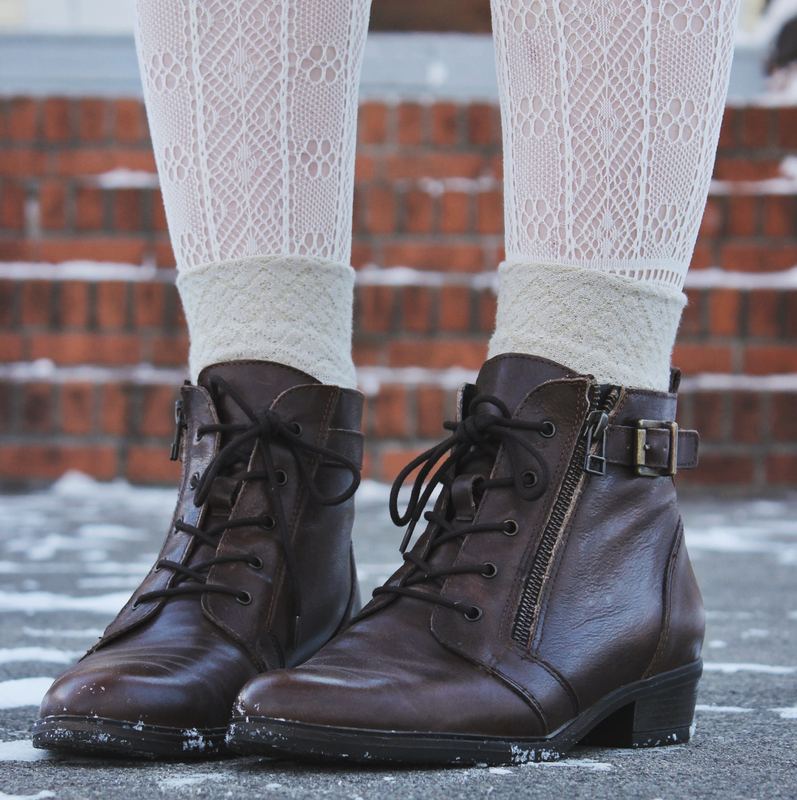 I also recently purchased a new pair of boots that I think are very adorable. I usually go the cute dress route and just make sure I get inside quickly! I would absolutely wear an outfit like this. I’m a big fan of pairing green and blue. This jacket is so cute and I really like your white patterned tights. 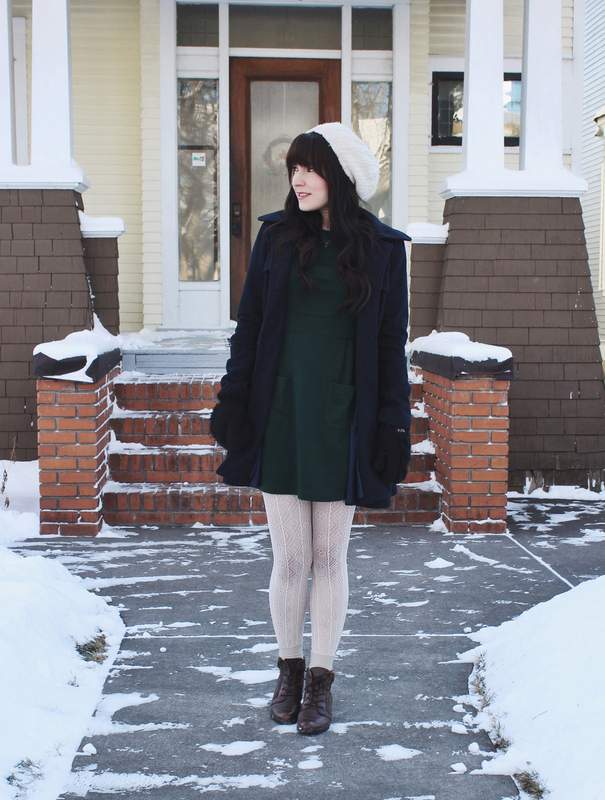 This is an adorable look that’s perfect for the holidays!